Valentin, this is just a placeholder project since I was only provided with a couple. You can either update this page with an actual project info or simply delete it. We installed top-quality, luxury fixtures throughout the bathroom – a frameless glass shower and whirlpool tub were installed against one exterior wall and an enclosed bidet toilet was placed alongside the entry alcove to the bathroom. The shower features built-in mosaic-tiled cubbyholes for the storage of toiletries in addition to several curved stone shelves. The entryway to the bidet toilet features an airy ventilation-slat door with a transom window. We also installed an ornate double-sink vanity with recessed lighting and a polished stone countertop against the second exterior wall. The final color scheme exudes a natural, serene, and warm atmosphere. 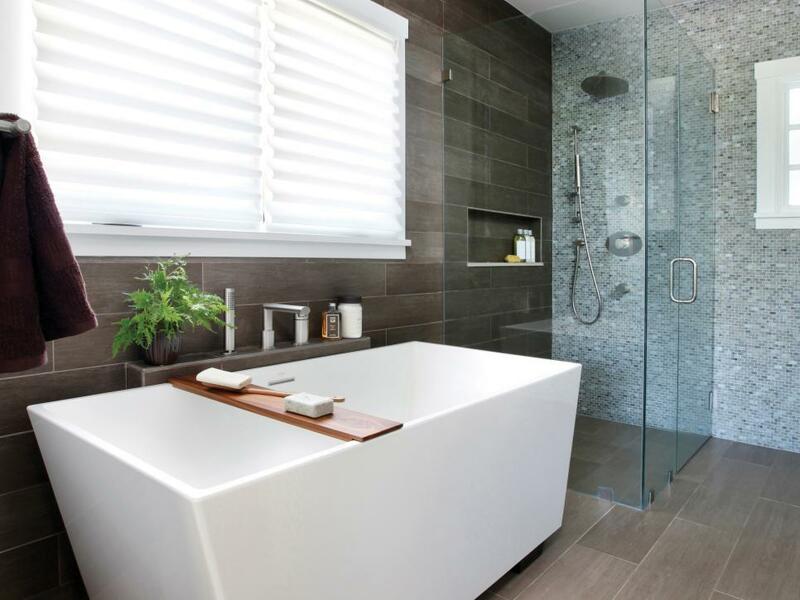 Subdued, earth-toned colors were used for the varyingly-patterned tiles on the supporting base of the whirlpool tub, on the lower halves of the walls, and on the shower walls and floor. Similar colors were used on the diamond-patterned floor tiles, and the sheetrock walls in the other areas of the bathroom were painting in a similarly-restful scheme. The cabinetry, trim, doors, window sashes and frames, electric outlet plates, and plumbing fixtures throughout the bathroom were unified via a simple white color scheme. 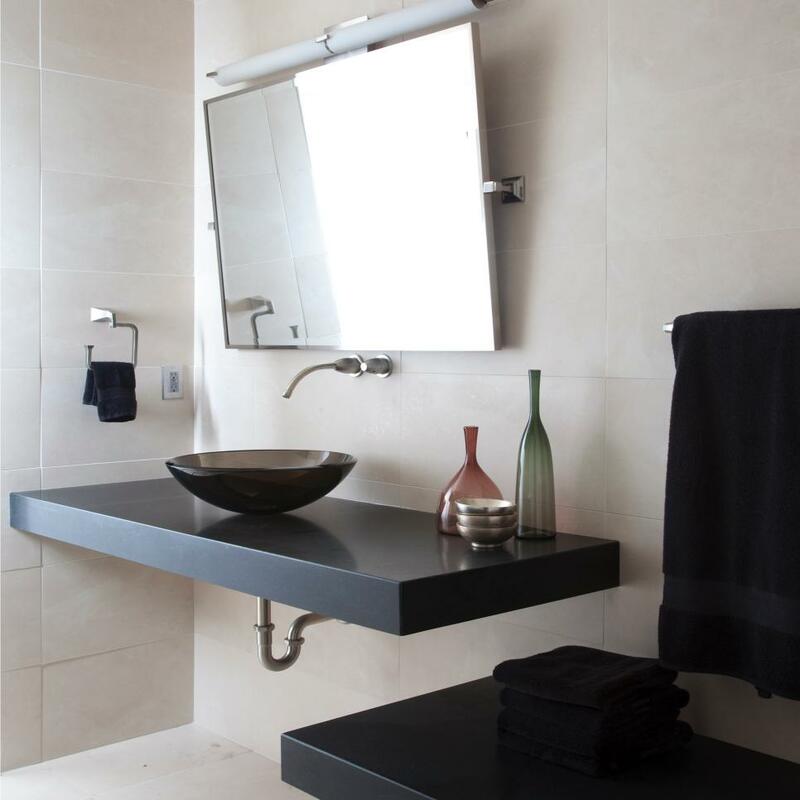 The hardware (faucets, handles, hinges, vanity knobs, shower equipment, grab-bars, rods, towel racks, etc.) are unified with a dark gray brushed-metal finish, lending a bit of contrast to the otherwise warm, restful master bathroom.